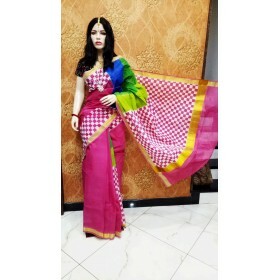 Kuthampully tissue kerala settu mundu with red color brocade design with free blouse. 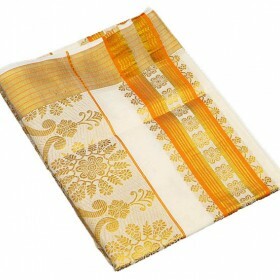 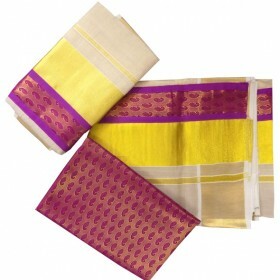 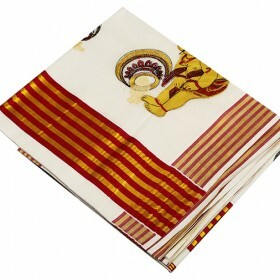 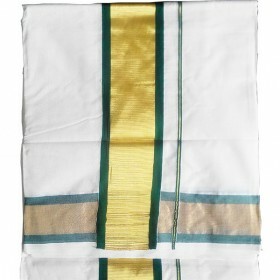 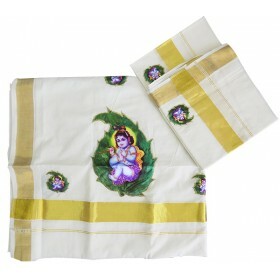 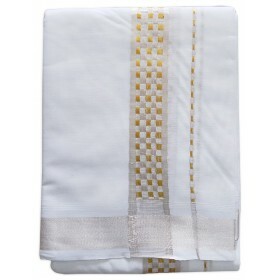 The trend..
New trendy and royal look kerala kasavu saree with golden and orange stripe brocade. 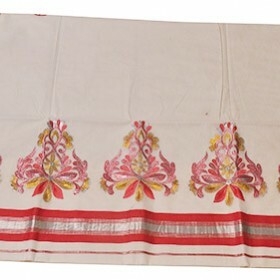 2 inch horizont..
Gorgeous traditional Kuthampully silver and red embroidery Kasavu Saree from Kerala is a superfine M..
Lovely hand painted Kerala traditional saree to give a new looks to our kasavu saree for all of you to be special in your traditional festival. 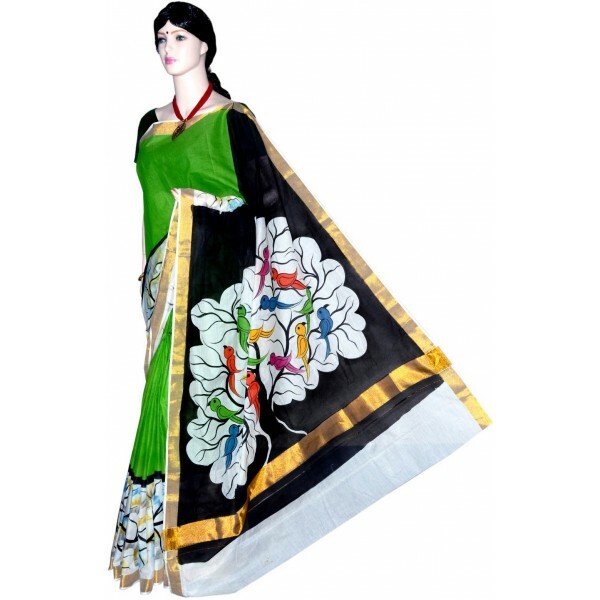 Pure cotton fabric saree with black color on pallu having sweet love birds setting on a tree hand painted design makes it more attractive. 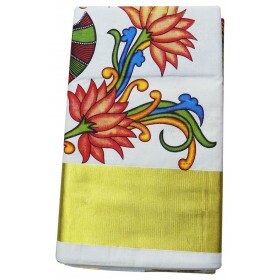 On rest of the part we have green color along with tree hand painted design on border makes gorgeous.